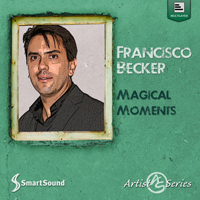 A very special acoustic-orchestral offering from Mr. Becker, here he focuses on whimsical, haunting music that creates a sense of magic and wonderment. Whether uplifting or warm, urgent or pensive, these tracks can transform any scene into a memorable moment. Use our Mood Mapping technology to control the intensity of the live strings, live acoustic guitars and live piano to match your scene's unique individual characteristics.